Few common themes that Akshay Mehra sees across organizations that make innovation difficult. In the past, I have written about specific case examples to highlighting specific business model innovation case examples, but as the year comes to an end, I wanted to reflect on a few common themes that I have seen across organizations that make innovation difficult. Innovation is hard. According to a recent survey by Boston Consulting Group of 1500 global executives, more than 75 per cent said innovation is one of their organization's top 3 priorities, but interestingly the executives felt their organizations are not very good at it - 70 per cent said that their companies' innovation capabilities are only average, and 13 per cent see them as weak. This speaks to the big gap between aspirations and capabilities for innovation across organizations. When I talk with the business leaders and heads of strategy across organizations, the common challenge that they face is to translate ideas into businesses. So, rather than give a list of things to do, I want to turn it on its head, and give a list of things to Stop doing! These are the innovation killers that dramatically reduce the Return on Investment on innovation in an organization - read on and see if your organization is guilty of any of them. 1. "We are open to any ideas": This is one of the more pernicious innovation behaviors in the organization. "What not to do" is probably the most helpful direction senior leaders can give their teams, because once the constraints are in place, the team knows what innovations to focus on. While this sounds easy, even the best succumb to this innovation killer. For instance, Google was struggling with too many random innovations. One of the first things that Larry Page did when he came back as CEO in 2011 was to discontinue Google Labs, so that Google, in his words, can "put more wood behind fewer arrows". The guidance I give leaders is to focus on the intersection of the core competencies, market, and consumer trends. In your organization, evaluate whether you have made the hard choices of knowing what not to do. 2. "What is the 5-year NPV? ": This is question is poison if asked at the beginning of an innovation project. Innovation by definition is something that is new (at least for your organization), and carries a lot of unknowns at the beginning of the project. And asking for a NPV at the beginning of the project will get you two outcomes - either the numbers are plain cooked up for lack of any strong data, or, the project, even if it had a lot of merit, would die. In both cases, the innovation is killed in the organization. The problem here is the "stack and rank" way of deciding on projects, where there is a monthly leadership meeting to review projects, the ones with the highest NPV (or similar metric) are ranked, and the top few are chosen. However, because innovation projects are inherently low on past data, and when the management asks for NPV or other financial metrics, they get a false precision based on questionable data. Instead, my advice is to focus on non-financial metrics, like customer needs, trends, business model, at the beginning of the project. 3. "We are confident because we have a lot of quantitative data": Industry reports are great to understand the market landscape, but terrible in understanding the customer needs and business models. These can only be gauged by getting in the market. This habit of relying on third party quantitative data is especially common among technology and healthcare companies, for making business decisions. You cannot outsource customer knowledge. The team leader has to get out of the conference room to understand the potential issues with the business model. Specifically, the team needs to supplement the quantitative market data with ethnographic, qualitative research that helps to identify the unmet customer needs and the key business model levers. One of the key questions that I ask when evaluating a business plan is "how much time did the team leader spend in the market?" If the answer is not much, but we got some agency to do the research, then that's a clear red flag. 4. "Our brand and technology are better": In almost every discussion that I have had with leaders on their companies' strengths, brand, scale and technology, will almost always be in the top 5. These strengths are relevant only in the Core and Adjacent businesses - not in new businesses. In new businesses, your strengths could in fact be a barrier. As Prof. Clayton Christensen, showed with his Disruptive Innovation theory, if you take on an incumbent with improvements in their traditional areas of strength, called sustaining innovations, you will more often than not, get beaten. Just a better technology or brand is not good enough. For instance, Amazon despite its brand, scale and technology failed miserably with its Fire Tablet, having to resort to fire-sale pricing (pun unintended) to clear the stock - just because Amazon is a great online store, does not give it the right to have a great tablet computer. My advice when I hear about "our brands and technology" is to first ask "what is the unmet customer problem? ", and then, "do our brand and technology allow us to satisfy the customer problem better?" If the answer is not an unequivocal yes, then go back to the drawing board. 5. "Innovation is everybody's business": Yes, and no. For incremental innovation, like more efficient production, cheaper distribution, sure everyone should be doing it continuously. However, for breakthrough business model innovation, you need to have a dedicated team. The reason for this is that business model innovation is a full-time job involving rapid iteration, prototyping and pivoting, almost like running a startup, within an organization. And a startup can never be done on a part-time basis. I have seen many instances, where managers have dual responsibilities of running the core business and building a new business model. This is a sure sign of failure. There are two reasons why this never works - one, when there is pressure on core business, invariably the manager will choose to focus on the core business as that's where she meets her targets. And two, it is difficult for people to compartmentalize, the skills needed for business model innovation are different from those required to run a core business, and if a person has dual responsibilities, then either the core business or the innovation project will suffer. So in closing, innovation is hard - don't make it harder still by having these 5 "killers" in your organization! 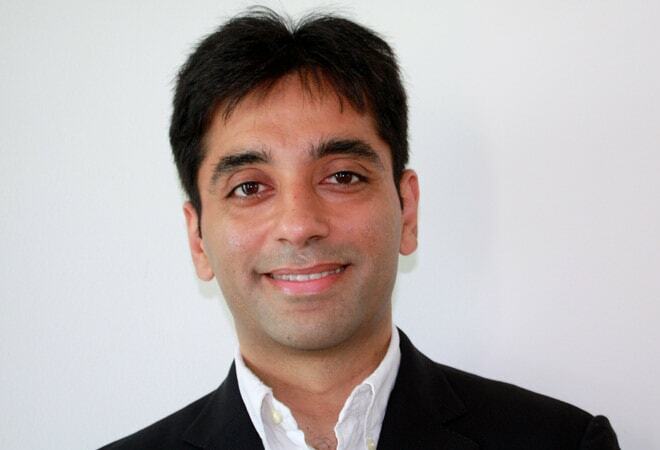 Akshay Mehra is a Partner at InvYramid Innovation Strategy Consulting.